Mumbai boasts of a167 km long continuous coastline. Only a mere 33km of this coastline is accessible to the public. 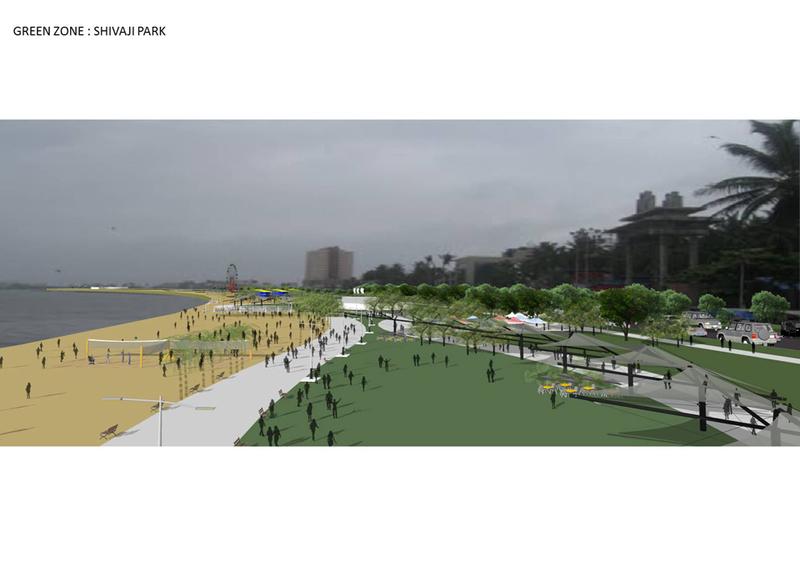 The Bombay Coastal Project is to create a continuous coastal esplanade with unrestricted public access. It aims to make the coastline accessible to the public and revitalize the Mumbai Waterfront, thus majorly upgrading the city’s social and cultural aspect. The proposal aims is to establish the public's connection to the waterfront by creating new opportunities for visual, physical and recreational access. Various activities like Daily Markets, Open air bistros, Gathering spaces, Play areas for kids, Sports areas for serious sports, Open air theatres can help expand the use of the precinct from a daily commute way and/or green zone into the city’s cultural hub. Cultural amenities can be proposed around the various historical forts along the coast. The proposal also aims to connect the waterfront esplanades (Bandstand, Bandra Reclamation, Mahim Beach, Prabhadevi Beach, Worli Sea front) to form a larger contiguous urban space that aids commute and recreation.